Dynamitewoman posted the following under a different topic, but I think this should be a thread topic all on its own because it is such a hot seat for so many players. I would like feedback from BPU members about their feelings about BB's and how they are handled at various sites. yes, i unerstand the concept of a deposit bonus, chat game bb's and promotional contests where a player may earn a few more bb's to continue playing because that is their main objective. That is all part of the game and to be expected. What I am talking about is the gracious acceptance of bb's when a player is having a bad streak of luck! Do all players get it? Is it part of the game for them? Sorry, but we will have to disagree on the policy of some sites handing out bb's to their special clients during a bad streak of luck.That is what depositing is for to most people. How many hundreds of bb's were played in a game that were not earned or from deposits? I just do not happen to find it very ethical for site managers to hand out special bb's on a regular basis to a select group..maybe those who are normally large depositors and wihout funds, big whiners, etc. All those fun bucks get incorporated into games with CASH players at one time or another, and while everyone gets them for depositing and uses them when their cash is gone, they have EARNED the bb's by depositing or playing chat games. Which, by the way can not be earned if you have not deposited according to the site rules. Hell, I was denied a deposit bonus simpy because I withdrew ( 3 years ago)a few bucks more than I deposited. I see firm rules about bb's were well in place. So, I do not get real happy about hearing of the doling out of bb's..just because! I dont know about others, but I feel I am just as important and valuable a player as anyone else and if bb's are being handed out, it should be done on a schedule and to EVERYONE or to no one!That is the kind of hairpin I am!!!! I play at a well-known and very popular approved site on a regular basis; however, all the sites I've ever played at also give out bb's so it's not an isolated problem as I see it. BB's are given as a 'gift' to players when they deposit...but there are also BB's given out during chat games as an incentive to players to enter chat and maybe get a few more in order to play a little longer when they have run out of cash. Let's talk about chat bb's.....if you are at a popular site with over 50-60 people buying into the game, but only 25 are in the chat room, and the chat game is 'nabors' where ONLY the winner establishes which nabors will get those 1 or 2 bb's each, and the majority of the winners are actually OOC, only a small number of bb's are awarded for that hour or two hour period of time that the chat game is played, then you have lost the incentive to even be in the chatroom (except for the ones who like to chat no matter what the outcome). (The site I played at last night had nearly 100 players, which is normal, with only 25 or so actually in chat....and nearly every game, as usual, was won by a player OOC). This is just one example of how discouraging it can be for some players hoping for a couple of extra bb's to keep playing with when they are already losing or lost their cash and deposit bonus without a win to keep them going. Having to rely on a particular chat roomie to win in order to get tossed a couple of bb's I think is unfair and needs to end. As Dynamite put it....give the bb's to everyone in chat or give none to all. 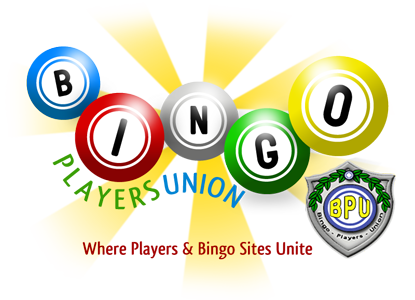 I personally would love to see an online bingo site become more like a land bingo....bring cash to the table and win cash only. Don't give bb's for deposits, don't give bb's for chat games, and don't give bb's as promos. This would eliminate the problem of unfair bb's given on a VIP level of any kind for deposits (my $100 deposit is just as good as somebody else's and it shouldn't matter that totally I've spent $5K at your site or if I've spent $50K...I shouldn't have to compete for a VIP Platinum level of bonuses for depositing). This would also eliminate the frustration somewhat of watching OOC winners wipe out my chance of getting a bb or two when my chat room nabor didn't win. This would also eliminate having to meet wager requirements that include bb's of any kind. I understand the concept of bb's....I also understand that people are always going to be looking for 'something for nothing'. However, that is the very foundation of how online bingo sites (and casinos) can keep their cashcow (the depositor) in line and hooked to their sites. Land bingo sites use no such trick and only the fire laws keep their audience smaller than they would be otherwise. Most times, those bingo halls are filled to capacity, the money flows both with bingo games, pull tabs, and side games. Those halls have only lost recently because of the no-smoking laws making it hard for some who go somewhere else to play. OK...your turn....tell me how you feel about bb's and why. Thanks.